The Economic Development Association of Alabama (EDAA) was founded in the early 1960s by a group of Alabama industrial developers. These visionary developers recognized the need for an organized effort to support economic growth in Alabama. EDAA was the result of that vision. One of the driving forces behind EDAA was an effort to improve the professional response to the phenomenal increase in Northern businesses relocating or expanding their manufacturing operations to the Southeast. The original association’s membership was comprised of local economic development leaders, utility companies, railroad companies and other influential community leaders. Since its inception, EDAA has been pivotal in the definition and passing of key economic development legislation. The association has also been a leader in the creation of educational opportunities, including co-sponsoring Auburn University’s Intensive Economic Development Training Course and being instrumental in the establishment of the university’s economic development graduate program. One of the most innovative programs offered by EDAA is the Community Leadership Training Program (CLT). EDAA’s Summer Conference and Winter Conference offer exceptional development opportunities and professional networking events. 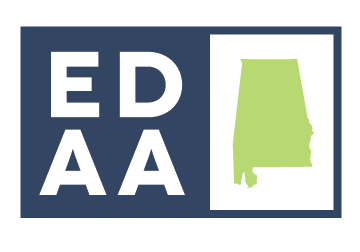 EDAA is Alabama’s leading advocate for economic development and services its memberships through representation on several statewide initiatives, including the Alabama Economic Development Alliance, the Alabama Workforce Development Board and other statewide organizations. EDAA is governed by two principal documents: The Constitution of the Economic Development Association of Alabama, Inc. and the Bylaws. Together, these two documents outline the general rules of the association, rights of members, powers of the board and all other entities. Constitution of the Economic Development Association of Alabama, Inc. Section 1. Name. The name of the organization shall be the Economic Development Association of Alabama, Inc., a not-for-profit, nonpartisan and nonsectarian corporation incorporated in the State of Alabama. educate, network and positively impact economic development in Alabama. affecting state and federal legislation and regulatory issues which have an impact on the economic development community. economic development of the State of Alabama, or any subdivision thereof, and who desires to further the mission and purpose of the Association may be elected a Regular or Associate member by the Board of Directors as provided herein. Membership in the Association shall reside with the individual and is not transferable. Applications for membership shall be made on a standard form prepared by the Association. (d) residing in the State of Alabama. When a regular member changes employers, a new membership application must be submitted from the new employer. When a regular member changes jobs with an employer, or has a significant change of job responsibilities, information must be submitted to determine if the new situation qualifies the individual for Regular or Associate membership. The individual may be reinstated without loss of tenure at the pleasure of the Board of Directors without the individual having to file a new application for membership. Regular membership embraces all membership privileges. Section 3. Associate Membership. Associate membership may be granted to anyone who qualifies under Section 1 (above), but not under Section 2 (above). In communities where no one is qualified for regular membership, the Membership Services Committee shall make a special effort to promote Associate membership status for community leaders, such as chairman of the economic development authority, president of the chamber of commerce, or chairman of the chamber’s economic development committee, so as to have Association representation throughout the State. Section 4. Non-Resident Membership. Non-resident membership may be granted to anyone who qualifies under Section 1 but not under Section 2(d) above. Individuals with organizations which have an interest in economic development in Alabama as specified in Section 1 and Section 2 above, but who do not reside in Alabama, shall qualify for non-resident membership. Section 5. Privileges of Membership. An associate member and a non-resident member shall be eligible to attend all meetings and conferences of the Association but shall not be eligible to vote on any official business of the Association, or to hold office in the Association. Section 6. Honorary Life Membership. honorary Life membership may be granted by two-thirds vote of the Board of Directors for long and exceptional service to the Association or for extraordinary efforts directly related to the purposes of the Association. Alabama, Inc. shall be conducted by the Board of Directors [The Board]. The Board shall consist of the Officers of the Association, the Immediate Past President, and one regular member- at-large Director for each seventy-five members of the Association provided that; however, the Board shall at all times consist of at least five Directors. Consideration shall be obtaining a good cross-section and/or geographic distribution of representation. President: It shall be the duty of the President to preside at meetings of the membership and Board of Directors, to perform specific duties designated by the Board and other such duties as may automatically pertain to the office. First Vice President: It shall be the duty of the First Vice President to act in the absence of the President, to serve as overall Program Chairman, and with Board approval, nominate the Program Chairman for the conferences and to perform such other duties as automatically pertain to such office or as may be designated by the President of the Board. Second Vice President: It shall be the duty of the Second Vice President to act in the absence of the President and the First Vice President, to serve as Chairman of the Membership Committee and to perform such other duties as automatically pertain to such office or as may be designated by the President of the Board. Secretary-Treasurer: It shall be the duty of the Secretary-Treasurer to maintain the records of all meetings of the membership and the Board of Directors, to have charge and custody of all funds as set forth in Article VI- Finances. The Secretary Treasurer shall make an annual financial report to the membership and arrange for Association records to be audited by two members so appointed. Section 3. Board of Directors. To qualify for election to the Board, a member must have completed two full years as a regular member in good standing (calculated as of the election date). In addition to the Officers, Immediate Past President, and the Directors of the Association, the following shall serve as Ex-Officio members of the Board but shall not have voting privileges on the Board of Directors. The Alabama State Director to the Southern Economic Development Council, Inc. Section 4. Terms for Board Members. Elected Board Members will serve staggered terms so that 1⁄3 of the Board Members (excluding replacement Board Members) will be elected each year. Section 1. Called Meetings. Meetings other than annual meeting and the winter conference shall be called at the option of the Board of Directors. Section 2. Meetings of the Board. The Board of Directors shall meet on call of the presiding officer. Section 3. Location. The location of all meetings of the Association shall be determined by the Board of Directors. Section 4. Notice of Meeting. The Secretary-Treasurer or the Executive Director shall send out notices of all meetings. Such notices shall be dispatched reasonably in advance of the date set for said meetings. Section 5. Quorum. At any duly called meeting of the membership, 10% of those regular members present who are in good standing shall constitute as a quorum. At any duly called meeting of the Board of Directors, a minimum of 50% of the board Members must be present. Section 6. Absenteeism. Any Board Member failing to attend 50% of called board meetings during the calendar year will be replaced during election of Board Members at the next membership meeting. Section 7. Annual Report. The Board of Directors shall, at the Annual Board Meeting, prepare and submit a report of Association activities for the prior year. Section 1 Annual Dues. Membership dues shall be established by the Board of Directors and be payable in advance. The amount for each class of membership shall be set forth in the By-Laws. Section 2. Payment & Collection. Membership dues shall be due and payable by January 1 of each year. Dues paid for membership during October, November, and December of any year shall be applied through the next calendar year. The Secretary-Treasurer and the Executive Director shall be responsible for the proper collection of dues and other monies due to the Association. Operating funds of the Association shall be deposited in any bank convenient to the Secretary -Treasurer or the Executive Director. Withdrawals shall require two signatures as designated by the Board of Directors. Any check issued over the amount of $5,000 (USD) is subject to two signatures, one being a Board member. Section 3. Budget & Financial Reports. The Secretary-Treasurer, with the assistance of the Executive Director, shall be charged with the preparation of a budget to be submitted to the Board of Directors for approval at its first meeting each fiscal year. A financial report shall be made available to the Board of Directors quarterly. Section 4. Real Estate. The Association shall not engage in the purchase, lease, rental, sale, or mortgage of real estate other than for a location approved by the Board of Directors for the principal and any secondary offices of the Association. The association shall not borrow money nor incur debts over and above the purchase routine office supplies and services without the expressed approval of the Board. Section 1. Fiscal Year. The fiscal year of the Association shall commence January 1. Section 2. Executive Director. The Board of Directors shall have the authority to hire and dismiss an Executive Director and prescribe the person’s duties and responsibilities. The Executive Director shall work at the pleasure of the Board pending regular review. Section 3. Executive Committee. The Executive Committee will direct the activities of the Executive Director and review the performance of staff members. The Executive Committee shall consist of the officers and the immediate Past President. The Chairman of the Executive Committee shall be the President. accrue to the individual benefit of any officer, director, or member except that the Board may at its direction authorize the payment of salaries for work actually performed and shall reimburse approved out-of-pocket expenses. Section 5. Parliamentary Authority. Roberts Rules of Order, Revised Edition, shall be the final authority of all questions of procedure and parliamentary law not covered by the Constitution or Bylaws. Section 1. Immunity from Suit. Pursuant to Section 10-11-1, et seq., Code of Alabama (1975), all non-compensated officers of the Association shall be immune from suit and not subject to civil liability arising from the conduct of the affairs of the Association except when the act or omission of such officer, which gives rise to a cause of action, amounts to willful or wanton misconduct or fraud, or gross negligence. For purposes of the Article VII, the term “officer” shall include the Association’s officers and directors, as well as the members of any other governing body of the Association. Section 1. Special Indemnification. The association shall indemnify an officer of the Association who is or was a party to any proceeding (by reason of the fact that he or he is or was such an officer or agent of another serving at the request of the Association as a director, trustee, officer, employee, or agent of another corporation, partnership, joint venture, trust, employee benefit plan or other profit or nonprofit enterprise) against all liabilities and expenses incurred in the proceeding except such liabilities and expenses as are incurred because of willful misconduct or knowing violation of the criminal law. Unless a determination has been made that indemnification is not permissible, the Association shall make advances and reimbursements of expenses incurred by a board member of the Association in a proceeding upon receipt of an undertaking from him to repay the same if it is ultimately determined that he is not entitled to indemnification. Such undertaking shall be an unlimited, unsecured general obligation of the officer of the Association and shall be accepted without reference to ability of repayment. The board is hereby empowered to contract in advance to indemnify and advance the expense of any officer of the Association. Section 2. Indemnification of Others. The board is hereby empowered to cause the Association to indemnify or contract in advance to indemnify any person not specified in Section 1 of this Article IX who was or is a party to any proceeding to the same extent as if such person was specified as one whom indemnification is granted in Section 1. Section 3. Insurance. The Association shall purchase and maintain insurance to indemnify it against the whole or any portion of the liability assumed by it in accordance with this Article IX and shall also procure insurance, in such amounts as the Board may determine, on behalf of any person who is or was a director, trustee, officer, employee, or agent of another corporation, partnership, joint venture, trust, employee benefit plan or other profit or nonprofit enterprise., against any liability asserted against or incurred by such person in any such capacity or arising from status as such, whether or not the Association would have power to indemnify him or her against such liability under the provisions of this Article IX. Section 4. Legal Counsel. In the event of a change in the composition of a majority of the Board after the date of the alleged act or omission with respect to which indemnification is claimed, any determination as to indemnification and advancement of expenses with respect to any claim to any claim for indemnification made pursuant to Section 1 of this Article IX shall be made by special legal counsel agreed upon by the Board and the proposed indemnity. If the Board and the proposed indemnity is unable to agree upon such special legal counsel, the Board and the proposed indemnity each shall select a nominee, and the nominees shall select special legal counsel. Section 5. Scope. The provisions of this Article IX shall be applicable to all actions, claims, suits, or proceedings commenced after the adoption hereof, whether arising from any action taken or failure to act before or after such adoption. No amendment modification or repeal of this Article IX shall diminish the rights provided herein or diminish the right to indemnification with respect to any claim, issue, or matter in any then pending or subsequent that is based in any material respect on any alleged action or failure to act prior to such amendment, modification, or repeal. Section 6. Definition. For purposes of Article VII and this Article IX, the term “officer” shall include the Association’s officers and directors, as well as the members of any other governing body of the Association; and any reference herein to directors, trustees, officers, employees, or agents shall include former directors, trustees, officers, employees, and agents and their respective heirs, executors, and administrators. Section 1. Procedure.This constitution may be amended or repealed wholly or in part by a majority of the vote cast by mail or at a scheduled conference or called Association meeting if notice of the proposed action has been presented in written form thirty (30) days prior to voting. Section 1. Effective Date. This constitution shall be effective on the 20th day of September 1995. Amended January 26, 1999. Amended November 3, 1999. Amended November 15, 2001. Amended June 25, 2008. Amended January 23, 2013. Bylaws of the Economic Development Association of Alabama, Inc. Section 1. Eligibility and Type. Eligibility and type of membership shall be determined by the Membership Committee composed of five members. The Second Vice-President shall be Chairman of the Membership Committee along with four other regular members. The Membership Committee shall review and act on new applications for membership and shall have full authority to grant such membership subject to approval of the Board of Directors as meeting the criteria for eligibility in accordance with the Constitution. Section 2. Resignation. A member may resign membership by written communication to the Secretary-Treasurer of the Association. Section 3. Termination. A member not paying dues within sixty (60) days after the due date shall be dropped from membership provided that an initial and one follow-up billing have been sent to the member during the sixty (60) day period. Section 4. Suspension or Expulsion. Any member may be suspended or expelled from membership in the Association for conduct unbecoming a member by majority vote of the Board of Directors present and voting at a regular or special meeting of the Board provided that written notice of the action and the member’s right to appear at such meeting in his or her own behalf has been given at least twenty (20) days prior to such meeting. Reinstatement of membership of a suspended or expelled member shall be at the discretion of the Board and shall be approved by majority vote. Section 1. Nomination. The President shall appoint a Nominating Committee thirty (30) days prior to the annual meeting and it shall report its recommendations to the membership at the annual meeting. Section 2. Election. Election of Officers and Director of the Association shall be at the Annual Meeting by a simple majority voice vote of those regular members attending. Term of Office for officers shall begin at the time of election and shall conclude upon the election of a new slate of officers at the next annual meeting immediately following the term (1,2 or 3 years) for which they were elected. Section 3. Period of Office. No member of the Board of Directors shall serve more than 3 consecutive years on the Board. However, the 3-year maximum consecutive service limitation may be extended by the amount of time a Board member serves as an officer. If the Board member serves as President, the term will then be extended through the following year of service as Immediate Past President. Section 4. Vacancies. Vacancies on the Board of Directors shall be filled by a majority vote of the regular members at the next called membership meeting. In the event the Immediate Past President is unable to serve as a Board Member, the most recent Past President available for service shall fill this position on the Board. Section 4. Participation. All committee chairs shall be regular members of the Association. Section 5. Performance Review Committee. In November of each year, the President shall chair a Performance Review Committee consisting of the President, the First Vice President, and the Immediate Past President. The Committee shall review the performance of the Executive Director and make any necessary recommendation related to performance and compensation to the Board of Directors at the Board’s December meeting. Also, at the November Performance Review Committee meeting, the Executive Director will review the performance of other EDAA staff and make recommendation to performance and compensation. Section 1. Amount. The dues of The Economic Development Association of Alabama will be reviewed and established by the EDAA Board of Directors each year. Section 2. Payment. Dues shall be payable to the Association immediately upon the approval of the nominee by the Membership Committee. Official membership status shall be granted as of the date membership dues are received by the Secretary-Treasurer or the Executive Director. Section 1. Location. 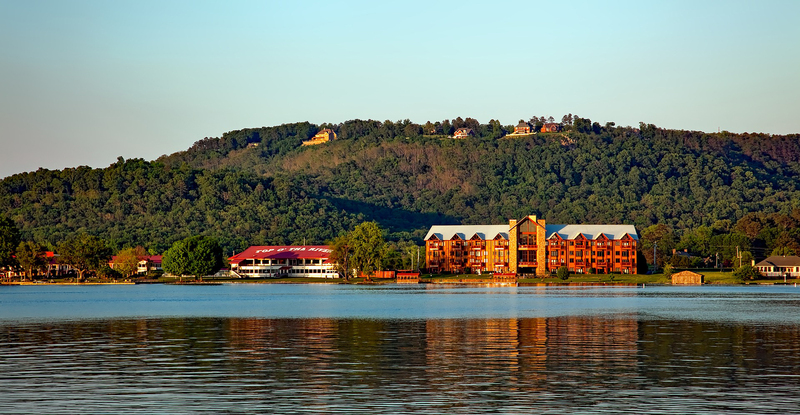 Recommendation for location of a conference site (Annual meeting, Winter Conference, or a special conference) shall be made by the Conference Committee and approved by a majority vote of the Board of Directors. procedure set forth in the Constitution. Section 1. Effective Date. These by laws shall be effective on the 20th day of September 1995. Amended on January 26, 1999. Amended on November 15, 2001. Amended on January 30, 2004. Amended June 25, 2008. Amended July 21, 2013.